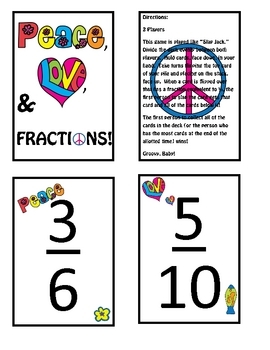 Peace, Love, and Fractions, Baby! 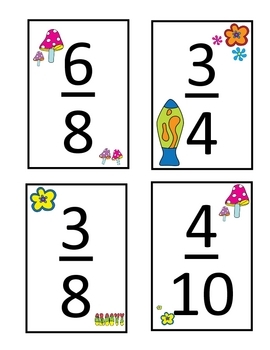 This is a math game played like the "slap jack" card game. 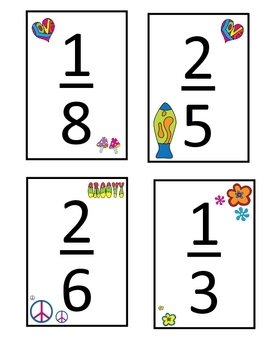 Students will use their knowledge of equivalent fractions to beat their opponent by slapping the fractions that are equivalent to 1/2 first. 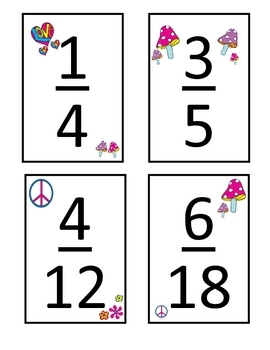 This would be great for a math center or an activity they can use when they are through with classwork early. Lots of fun!